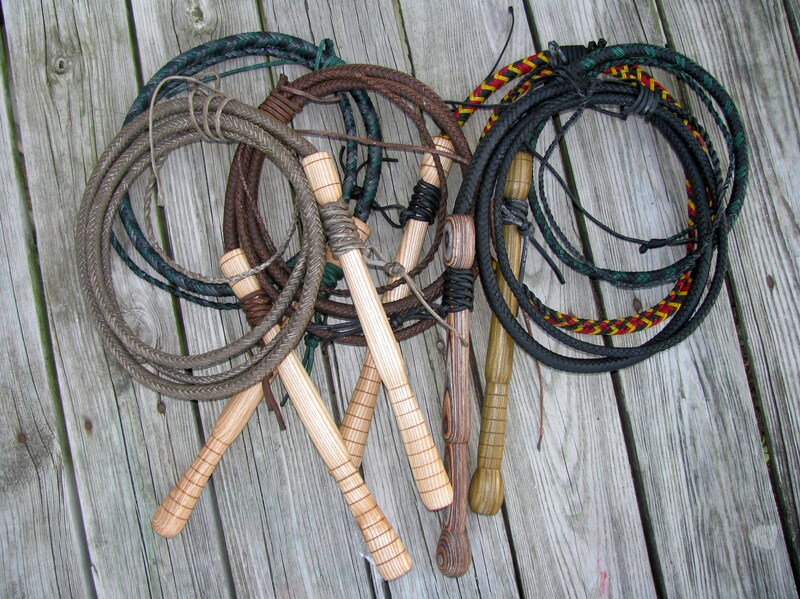 6 Cow Whips Ready to Go! Just thought I’d post a quick photo with some evidence that I am still making whips even though I’ve stopped taking orders. Each of these cow whips are going to be shipped out to their respective owners on Tuesday. Destinations include Puerto Rico, Colorado, California, Minnesota, Michigan, and Florida. This entry was posted on Sunday, September 5th, 2010 at 7:34 pm	and posted in Cow Whips. You can follow any responses to this entry through the RSS 2.0 feed. « Whip Basics DVDs Now Available!